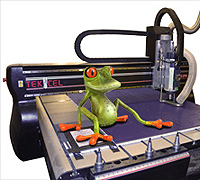 Using the latest in 2-D and 3-D Computer Aided Design (CAD) software driving a Computer Numerically Controlled (CNC) machine, Green Frog Designs are able to design and visualise products before committing them to manufacture, which saves considerable time and reduces waste. 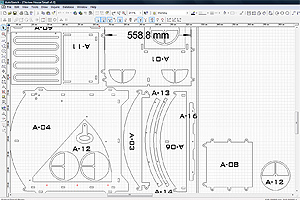 Basic design is carried out using 2-D engineering drawing software, and the design is then transferred to a 3-D software package where the 2-D shapes are turned into 3-dimensional objects. These are then arranged and assembled in their correct 'real-world' positions, so that the design can be checked. This step is invaluable for making sure, for example, that all holes and lugs line up correctly, as this is easily verified visually. It also allows mechanisms, such as opening doors, to be inspected. 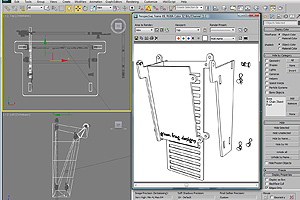 Finally, the 3-D package is used to create pictures, such as exploded views, showing the assembly sequence. These are used in product documentation. 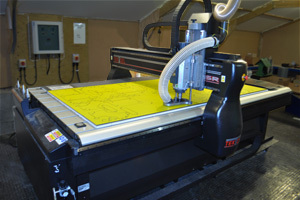 Once the design has been verified in 3-D, the 2-D files are then ready to be sent to the CNC router, which cuts the sheets to an accuracy of better than 1/10th of a millimetre. All waste material is returned to the manufacturer for recycling back into more sheet, so the manufacturing process is pretty close to zero waste. 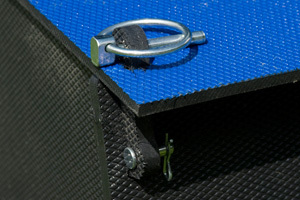 The products are all designed to be clipped or bolted together wherever possible, so that they can be flat-packed for delivery, easily assembled, and even dis-assembled if required.